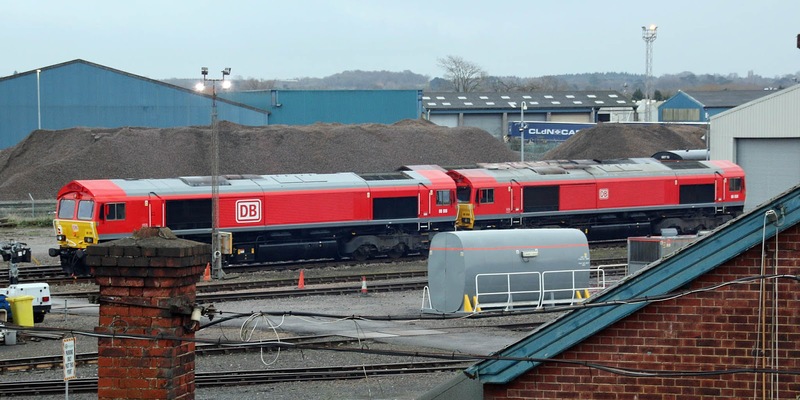 66016 (to be 66781) and 66058 (66783), with 66238 (66788) obscured behind, Eastleigh Works, 1st January. 66524 with a "we're hiring" message from Freightliner, the second example after 66564. Eastleigh, 1st January. 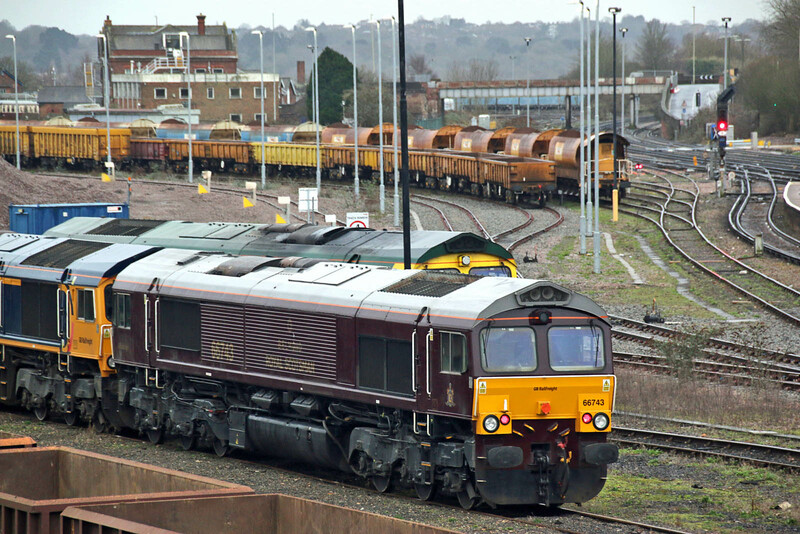 'Royal Scotsman' colours on 66743, Eastleigh, 1st January. 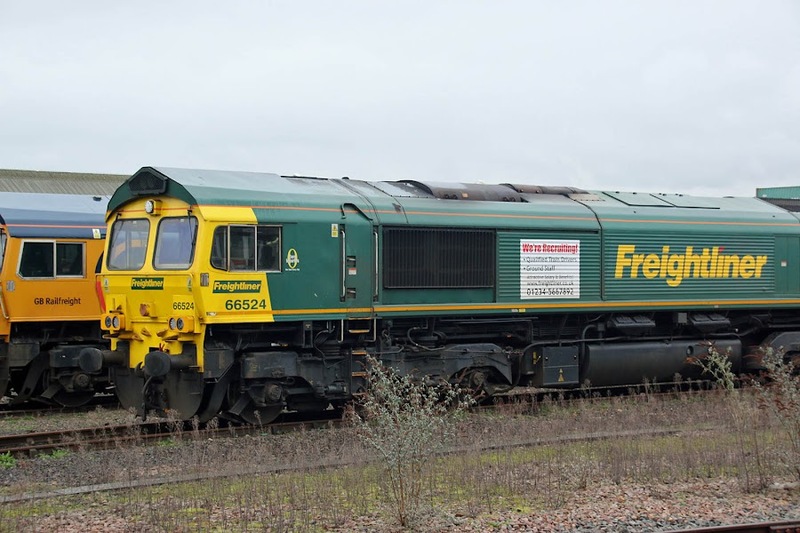 Robin of Templecombe nameplates were removed from 47739 and attached to 56049, still within Washwood Heath.